Bliss balls, also known as energy balls, are a popular snack to buy and I occasionally do. 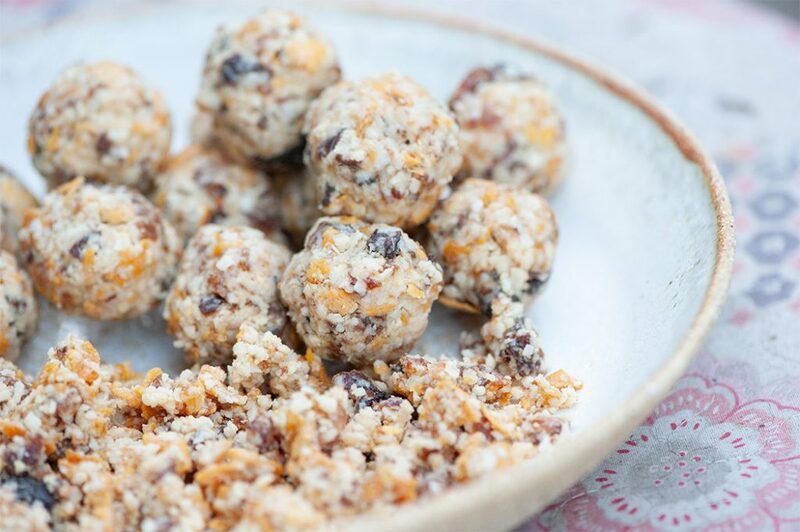 However, I much prefer to make my own and these mango apricot bliss balls are not only delicious, they are easy and quick to make – really quick… only a few seconds in my Thermomix to create several bites of bliss! Children, teens and adults enjoy them and they are an excellent lunchbox treat or any-time snack. It’s always good to know the ingredients in your food are healthy, which is why I like to make my own bliss balls. And they’re a lot less expensive too. 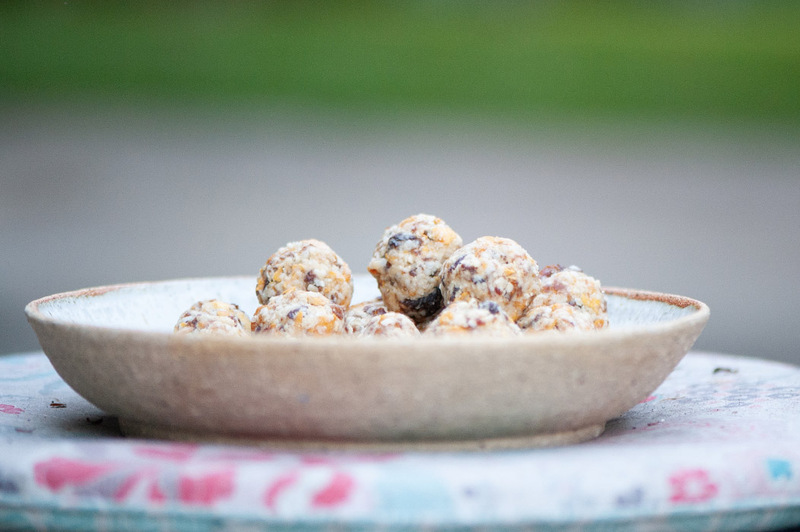 Mangoes and apricots are the source of sweetness and chewiness and with protein from the cashews and healthy fats from the coconut and cashews, these bliss balls are nourishing too. I like to use natural dried apricots that are brown in colour – the bright orange ones have almost always had sulphur dioxide, a type of sulphite, added to them in the drying process. Sulphur dioxide is a chemical preservative and a known allergen, and it’s worth avoiding. Dried mangoes, on the other hand, are naturally bright orange in colour even without sulphites, however it’s always a good idea to check the label to ensure they don’t have added sulphur dioxide or sulphites. 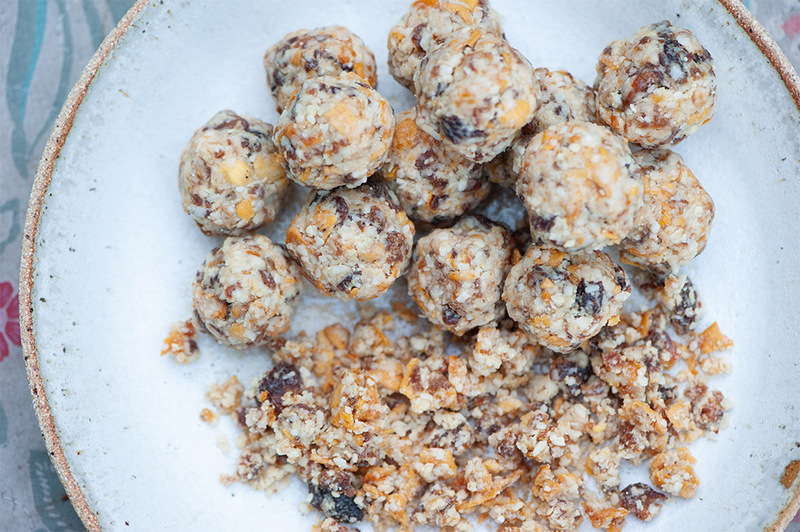 These bliss balls are vegetarian and vegan. They are also gluten free and dairy free – see tips. Grind cashews 6 sec/speed 10. Add coconut and grind 10 sec/speed 10. Add dried mangoes and chop 10 sec/speed 8. Add dried apricots and chop 6 sec/speed 8 – check texture and if you prefer smaller pieces of dried apricot and dried mango, grind again 6-15 sec/speed 8 until desired texture. Shape into firm small balls and arrange on a pretty plate to serve, or chill until serving time. These bliss balls can be chilled up to 1 week or frozen up to 2 months. For gluten free, please read the labels on your ingredients to ensure they are all gluten free. For dairy free, please read the labels on your ingredients to ensure they are all dairy free.